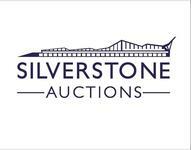 To be offered at The Heythrop Sale on Saturday 11th May at Heythrop Park, Chipping Norton OX7 5UF. For further details please contact Roger Taylor 07976 440110 and/or the office on +44 01926 800593. 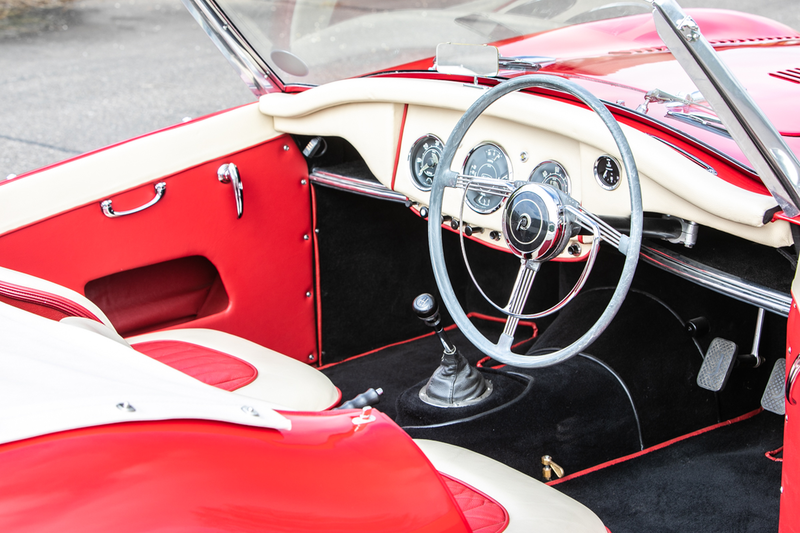 ALLARD, much like Ferrari and Porsche, began as a phenomenon of the Automotive Renaissance – those exciting, innocent years immediately following World War II. All three marques owed their existence to a desire to succeed in Motor Racing fostered by a charismatic genius, and all three earned immediate respect on the road as well as on the track. But while Ferrari and Porsche pursued engineering, design, and aesthetic finesse, sometimes approaching pure artwork, Sydney Allard’s approach was the antithesis. His cars were pure utilitarian machines uncomplicated products of a single-minded effort to harness brute torque and horsepower and most effectively apply it to the road. Unless you are a true marque expert, most classic car enthusiasts will struggle to remember the company's plethora of models beyond the cycle-winged, Cadillac V8-powered J2 and the P1 Saloon with its acres of bonnet in which Sydney Allard won the 1952 Monte Carlo Rally, the only person ever to do so in a car of his own manufacture. There were at least a dozen others including sports cars built mainly for racing, mostly with the side-valve, 3.6-litre Ford V8 or the larger Cadillac unit. It's certainly confusing now but obviously had the same effect in period as the decision was made to rationalise the range and to this end, Sydney came up with the Palm Beach for 1952. 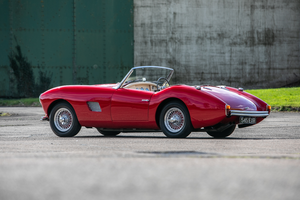 Its handmade, full-width aluminium body was basically a shorter version of that which clothed the, also new, K3 sports car and the sleek Palm Beach was powered by an overhead-valve engine from the Ford Consul (4-cylinder) or Zephyr (6-cylinder). The choice of name for the new model made the company's US aspirations clear although, in hindsight, anything less than a V8 was not going to raise the pulse of the typical US sports car buyer. 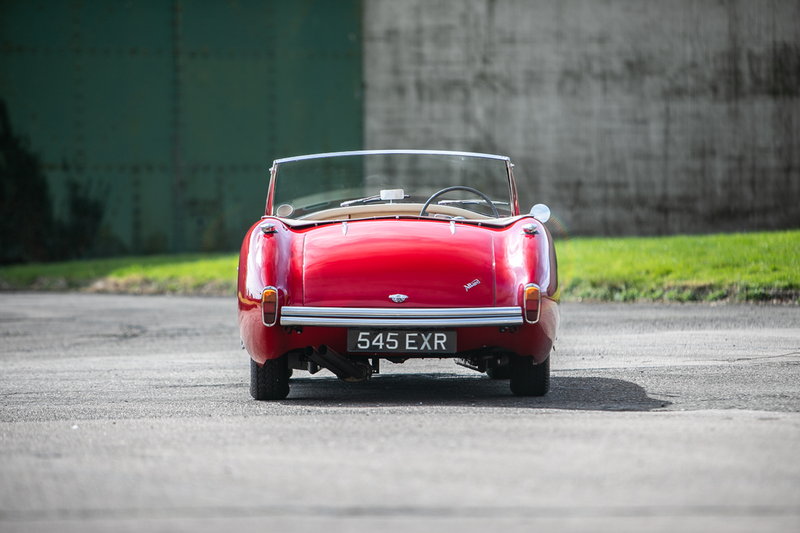 Although fresh and modern, the design was a touch slab-sided and could have done with being a little more curvaceous with a bit more 'coke-bottle' like the Healey, MGA and the little Italian two-seaters becoming increasingly popular. Allard's New York office thought so too, and its resident designer, Robert Forsyth, came up with a new look whilst retaining the classic front 'face'. His plan was to fit the revised Palm Beach with a Dodge 'Red Ram' V8 but that never happened. 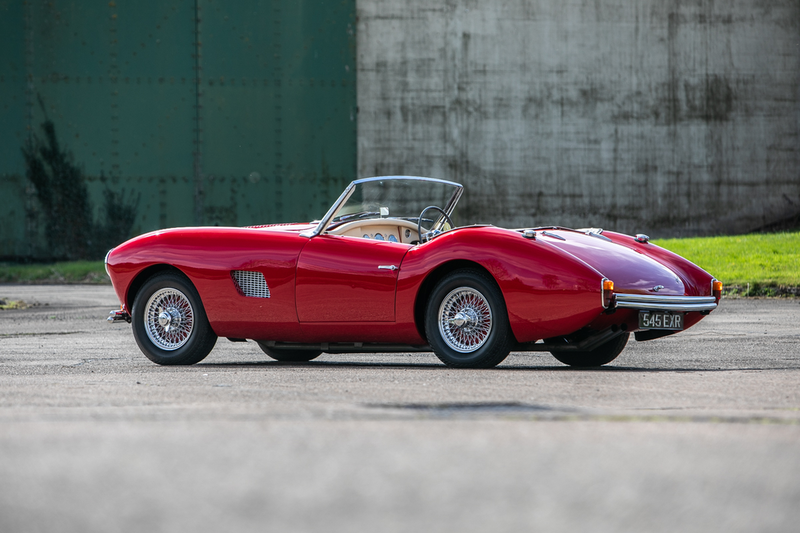 According to marque enthusiast, Craig Dent, “Forsyth's suggestion to fit the small and pretty British two-seater with a large American V8 was made in 1955, five years before a certain Carroll Shelby did exactly that with the AC Ace, undoubtedly a missed opportunity”. 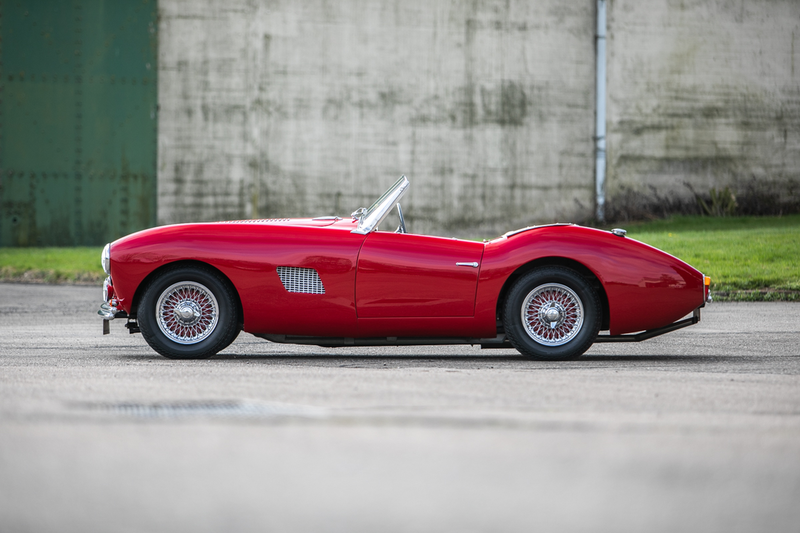 The prototype Mk.2 Palm Beach (545 EXR) made its debut at the Earls Court Motor Show in 1956 to much acclaim. It still utilised the classic Allard suspension set up, with divided axle at the front and live Salisbury at the rear, Panhard rod and twin trailing arms, telescopic shock absorbers and coil springs all round, as the new, David Hooper-developed, strut-based suspension, as fitted to the remaining Mk.2s, was not ready in time. 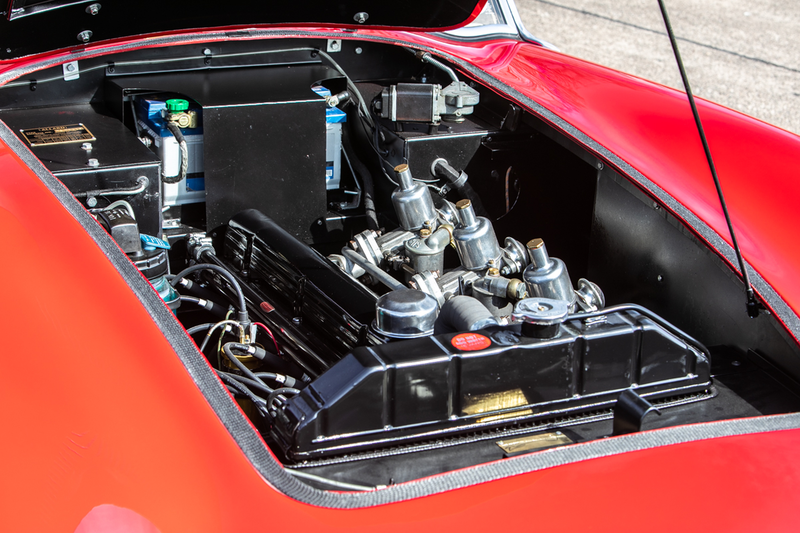 Power was supplied by an uprated six-cylinder, in-line 2553cc Ford unit, with a similar specification to that fitted to the 'Ruddspeed' AC Ace coupled to a Ford four-speed gearbox. All running on an Allard twin-tube chassis (#72/7000Z), a development of the Mk.1 Palm Beach and Allard JR sports-racing car. 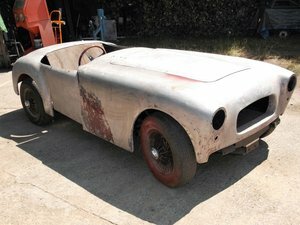 The very pretty aluminium two-seat body was regarded as the best looking Allard ever made in many peoples' opinion. 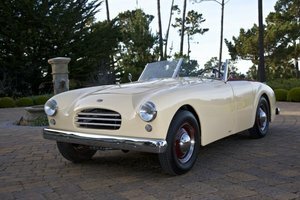 However, the show failed to generate the orders anticipated and although production staggered on until 1958, reaching six in all, the Palm Beach Mk.2 was not to be. 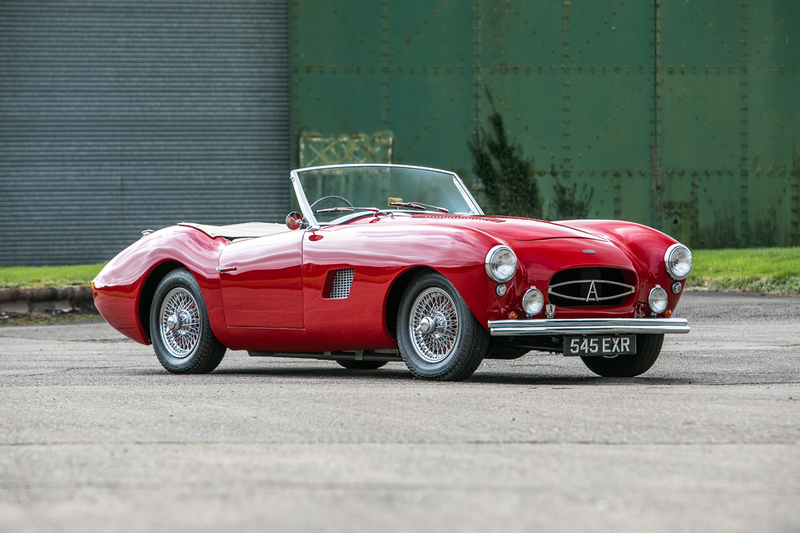 After its appearance at the 1956 Motor Show, the car became the Allard demonstrator before being passed to Brian Howard, a manager of the Allard Motor Company, then to Walter Hemsworth in 1968 and subsequently onto Peter Hemsworth in whose ownership it was put into storage around 1976. 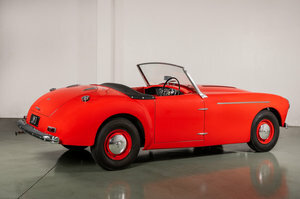 In 2012, Alan and Lloyd Allard, Sydney's son and grandson, formed the Allard Sports Car Company, with a view to the revival of Allard as a sports car manufacturer once again after a gap of some 56 years. With this revival in mind, and the possibility of producing a continuation model, a Palm Beach Mk.3, Alan Allard purchased the Mk.2 from Peter Hemsworth in 2012. Lloyd and Alan have since carried out a full restoration and, as no drawings or patterns were in existence, they took the opportunity to create their own. The entire car was disassembled and a wooden framework formed to keep everything in place. They hoped to use as much of the original car as possible, but nearly everything made of wood, rubber, leather or fabric was rotted beyond redemption. The aluminium body panels, hand beaten by Jack Jackman some 58 years ago, had survived well beneath layers of paint and filler but the steel bulkhead, inner wings and fuel tank less so. Lloyd's metal fabrication skills enabled him to make all the corroded steel sheets with the correct ribs and swages and he also built the double tube bumpers. The engine rebuild was subcontracted, as were the final body preparation and paint in Carmine Red plus the smart new interior in Cream and Red. The finished article was on display at the NEC Classic Car Show in 2014 and Octane Magazine's John Simister wrote an excellent seven-page article, including a road test in the January 2015 issue. Offered with a fascinating history file, its V5, and a copy of Octane Magazine, this important Allard, restored by Sydney Allard's son and grandson with help from some of the original factory engineers, represents a rare opportunity for the serious collector to acquire a unique piece of, not only Allard history, but the history of the British Sports Car.